How does being a CAN Fund Recipient make a difference for you as you prepare for February 2018? 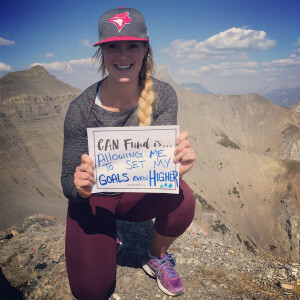 With CAN fund I immediately was able to upgrade the quality of material I use to prep my equipment for a race. The fund helps to alleviate the stress of financial uncertainty. We don’t know what our team fees will be for the Olympic season but at least I know I’ll be prepared for whatever number they throw at us. 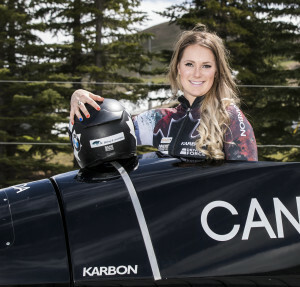 I got involved in bobsleigh after my university basketball career ended and I knew I wasn’t ready to give up being an athlete yet. Having previously been invited to a recruiting camp I called the provincial team for information. 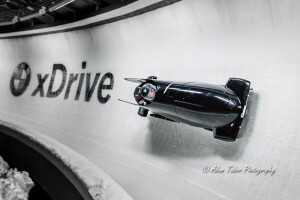 I knew my speed and power as an athlete was relevant to being a good bobsledder and that it was a sport that you could get into when you are older… and I really like going fast! Specifically in bobsleigh, I am so so proud to be a Canadian, a nation that believes that women should have every opportunity equal in sport and helps us try to gain these rights rather than suppress us from resources.